As part of the ongoing assistance to strengthen the effective implementation of the Harmonised System (HS) 2017 for PACER Plus signatory countries, the OCO organized HS training in member countries. In the past year, the OCO had assisted the nine countries to implement the HS 2017. The training(s) was convened for both Customs Officers and the Customs Brokers with the objective to provide members with the necessary knowledge and tools to correctly apply HS 2017. 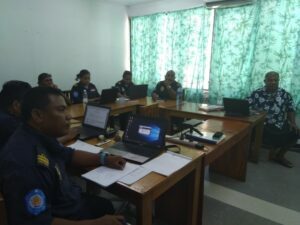 The training’s were conducted by the Regional Customs Expert, Mr. Bill Raikuna. 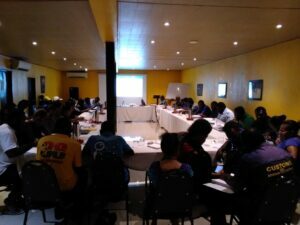 During the Workshop, participants amongst other issues discussed the WCO HS 2017 amendments, importance of the tariff infrastructure at the national level, Correct Interpretation and application of the Interpretative Rules and the Legal Notes of the Nomenclature and by means of goods classification exercises, equip the trainees with the knowledge required to apply the HS correctly. 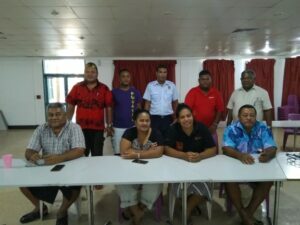 The Training was completed in eight countries with the remaining, Niue convened on 3-7 December, 2018. Through these national workshops, about 92 Customs Officers and 162 Customs Brokers/Stakeholders were trained. The national workshops was funded from the financial assistance the under the PACER Plus Readiness Package. With a view of enhancing the OCO members not only in the area of tariff classification but strengthening capacity for implementation of revised version of the HS (HS 2022) in a timely manner, some participant have been identified who have the potential to become national HS Specialist and/or trainers. The OCO will provide additional training for these Officers to strengthen HS competencies at both national and regional level.